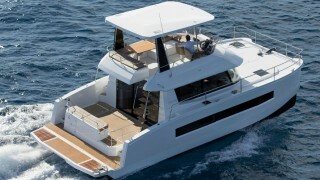 “Designed by the Joubert-Nivelt firm of architects, Fountaine Pajot Motor Yachts are outstanding ocean-going boats with a host of special features which include exceptionally low fuel consumption, state-of-the-art design, autonomous controls, highest standards of construction and a sleek layout. 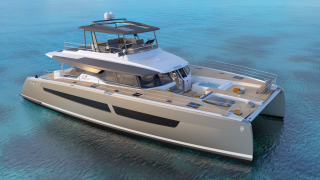 More than 200 Fountaine Pajot Motor Yachts have capably taken on the world’s toughest waters in less than ten years, including the English Channel, North Sea, Bay of Biscay, Golf Stream, trade routes, plus the Indian and Southern oceans. Browse Multihull Solutions’ expansive range of luxurious motor yachts for sale. 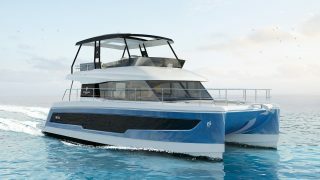 For four consecutive years, 2010, 2011, 2012 & 2013 Fountaine Pajot, awarded Multihull Solutions the company’s coveted “Worldwide Distributor of the Year” title. 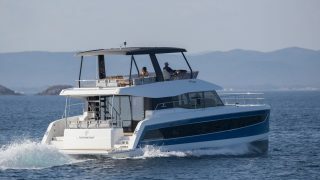 The award recognises Multihull Solutions’ efforts in achieving the highest sales of Fountaine Pajot sail and power within the company’s international network of distributors. In 2016 Multihull Solutions were awarded the Motor Yachts Worldwide Dealer of the Year as well as the Dealer of the Year Asia Pacific.